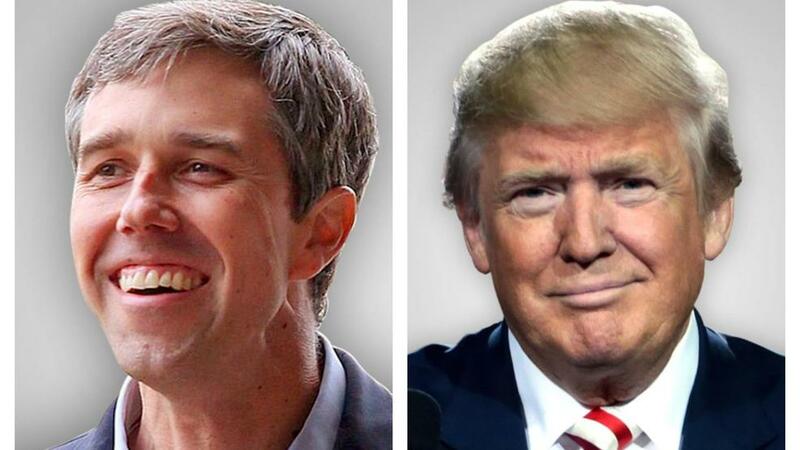 There are plenty of people making the case that O’Rourke might not beat Trump. He couldn’t beat Ted Cruz in Texas, and he only performed six points better than the Democratic nominee for governor in his state. But that isn’t my argument. My argument is that even if O’Rourke were guaranteed to win, I would not nominate him. If he is the nominee I will urge people to vote for Trump. I declined to take this position in 2016, because I could not be sure what kind of presidency Trump would have. It is now clear that Trump does not govern very effectively and is not very good at getting legislation through congress. He failed to repeal and replace Obamacare and he failed to secure funding for his infrastructure plan. He has lost control of the House of Representatives and this means he cannot pass further tax and spending cuts without the active participation of Democrats. We now have a situation in which the president and the congress are at an impasse. This is the situation we had for the last six years of the Obama presidency. The rest of the Trump administration will proceed more or less the same way the 2011-2016 period proceeded. There will be a series of clashes over the budget resulting in compromises between wishy washy Democrats and aggressive, single-minded Republicans. The compromises will be bad and will make our country a worse place in which to live, but this was going on before Trump became president. The savageries of the last two years are largely at an end–though it is regrettable we failed to take the Senate and are still unable to stop the president from making poor judicial and executive appointments. Another term of this, particularly another term of this in which Republicans continue to control the Senate, is very very bad for the country. But sadly, an O’Rourke presidency would be worse. Not in itself–while O’Rourke is in office, judicial appointments would improve and our executive branch would be better run. But O’Rourke would fail to pass transformative legislation through congress, because O’Rourke doesn’t believe that transformative legislation is a good or necessary thing. This means that an O’Rourke presidency would be a placeholder presidency, a lame duck presidency from the beginning. Even if O’Rourke secured Democratic majorities in both houses of congress, he would decline to pass bold legislation. The American people–frustrated by a federal state that seems indifferent to their needs–would respond to his inaction the same way they responded to Obama’s, by electing opposition politicians to congress and to the statehouses. By 2022, O’Rourke would likely lose at least one house of congress, and thereafter the remainder of his presidency would be just like the 2011-2016 period and just like the 2019-2020 period–full of bad compromises with single-minded Republicans. O’Rourke is a New Democrat, and collaborating with the right on economic policy is what he believes in. This means that during an O’Rourke presidency, the political discourse would not develop or change very much. The left would still want the bold new things it’s been wanting for a while. The right would still want the horrible old things it’s been wanting forever. The center would still be trying to kick the political consensus of the 90s and 00s along. That consensus doesn’t work–it doesn’t produce large enough increases in family incomes to produce sustainable rises in living standards, it’s prone to crisis, and it increases precarity and anxiety in people. These failures manifest as radical and reactionary politics. O’Rourke would not be able to stop the trajectory we’re on–his dogged determination to perpetuate the same old stuff would only further enflame it. When he finally leaves office, he would be replaced by a Republican, and that Republican would be at least as far right as Trump, if not further right. For half a century, the Republican Party has almost continuously moved right over time. Trump is more conservative than Bush II who was more conservative than Reagan who was more conservative than Nixon. Something must be done to disrupt this drift, because otherwise when the public tires of ineffective Democratic leadership it will be forced to continually elect irresponsible vandals. Our democracy cannot function when we have two parties and one of those parties is providing a choice which is not merely dispreferable but fundamentally unreasonable. The Democratic Party cannot run our country as a one-party state. It will lose sometimes, and its opposition needs to be less than entirely terrible. An O’Rourke presidency means two years of milquetoast, Obama-style reforms at maximum, followed by 2 to 6 years of right-ward drift under divided government, followed by 4-8 years of a new Republican president who is at least as bad if not worse than Donald Trump. That Republican president could be more capable and could get far more legislation through congress, perhaps enough to change the country forever. At the very least, this would mean another lost decade for the left. A second Trump term means another 4 years of right-ward drift under divided government, with an opportunity in 2024 to elect a transformational president who is willing and able to push through dramatic new legislation that could change our debate and force the Republican Party to realign and change. This has been done before–the Republican Party of the 1920s was extremely conservative, hostile even to granting labour unions legal recognition. But Franklin Roosevelt was able to fundamentally alter the terms of debate in the 30s by pursuing an extremely aggressive and (for their time) radical array of policies. The Democratic Party needs a Roosevelt, and it needs a Roosevelt right away. There is no time–climate change is real, and it’s coming. The Republican Party is moving noticeably further right each decade. We cannot afford a placeholder president, someone to pass the time while the world burns. Beto O’Rourke would be an American Nero, he would fiddle while the world’s on fire, and then he would hand power over to an unfathomably repulsive Republican. I’d rather take a few more years of divided government under the orange-faced oaf with a chance to try again in 2024. If the left’s not ready for prime time, it’s better to delay the show than to put on a bad one.